Sen. Elizabeth Warren, D-Mass., asked Federal Reserve Chairman Jerome Powell on Thursday to keep growth restrictions on Wells Fargo in place until the bank ousts its CEO, Tim Sloan. Warren, who sits on the Senate Banking Committee, has long advocated for harsh disciplinary action against Wells Fargo amid a series of scandals related to questionable business practices. Last Februry, the Fed imposed a growth cap on Wells Fargo until the bank demonstrably improved its corporate governance and replaced four members of its board of directors. A longtime Wells Fargo executive, Sloan replaced John Stumpf as CEO in October 2016. Stumpf resigned after the Consumer Financial Protection Bureau uncovered evidence that Wells Fargo employees had fraudulently opened millions of credit card and deposit accounts for customers without their consent in order to pad sales figures. 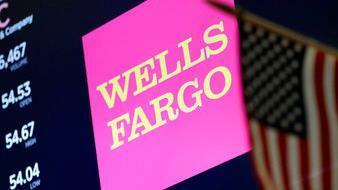 Later, Wells Fargo’s auto insurance arm was accused of misleading customers into taking out unnecessary policies. The CFPB rejected the bank’s proposal to refund the loan customers last September, ordering it to do more to compensate impacted consumers. Warren has repeatedly clashed with Powell since he became head of the Fed in February. She cast the lone dissenting vote during his confirmation process and pressed the chairman last March to conduct a hearing gauging Wells Fargo’s adherence to federal governance mandates. Despite Wells Fargo’s various scandals, Sloan received a $4.6 million raise last year, earning $17.6 million in total compensation.